A new and exclusive range of superior quality, modern style, metal storage buildings from Japan. 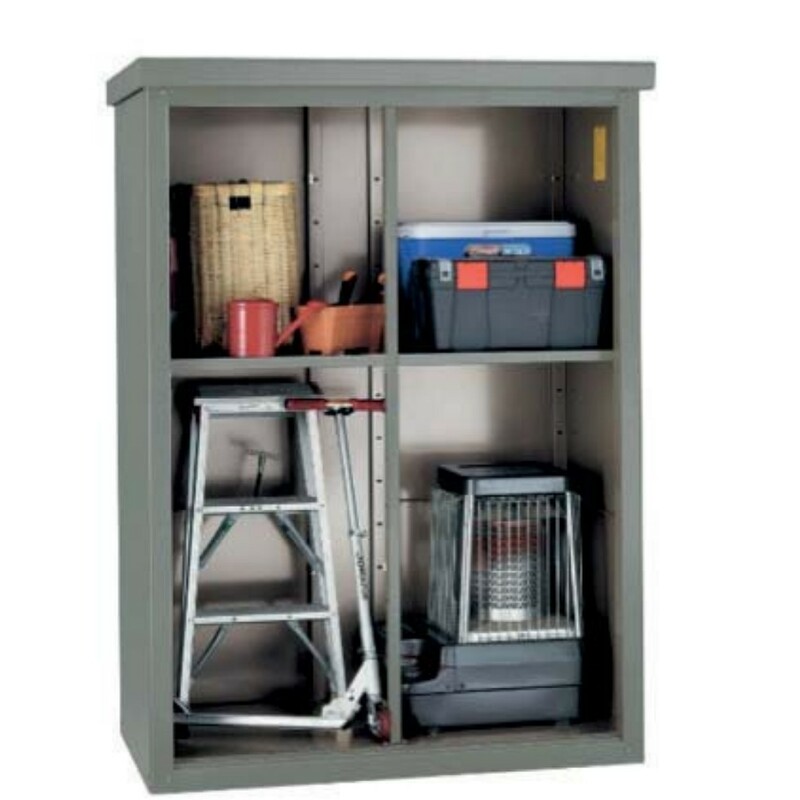 The Guardian garden storage cabinet is an ideal solution for those looking to keep their belongings safe and secure. Designed by one of the leading manufacturers of metal buildings in Japan, this exclusive product has been precision engineered from special Galvalume steel; it comes complete with an integral heavy duty metal floor and a key operated lock. The Guardian D63 and D43 features smooth sliding metal doors. The Guardian D33 has a single hinged door. As well as helping to protect belongings, its contemporary aesthetics compliment modern garden styles while its quality and superior engineering ensure maintenance free operation. Furthermore, with its high walls and compact base, the Guardian is an ideal solution for situations where additional storage space is a luxury. Supplied with two strong metal shelves as standard, this building can be customised with additional sets if required. In total, this product can hold up to a maximum of six shelves (Guardian D63 only). The new Guardian is perfect for storing and organising just about anything, it is especially useful for garden tools, ladders, sports and fishing gear, golf equipment, as well as toys and bicycles. The Guardian comes with a two year guarantee on all parts as well as a ten year panel guarantee against rust perforation. Finally, it is easy to assemble and should be completed in under one hour. *The Guardian D33 features a single hinged door. Additional shelving sets (two shelves per set) can be purchased. Maximum of six shelves per shed. Shelf dimension 843mm wide x 777mm deep.